The 22-year-old Austrian clinches his first ATP Challenger title. 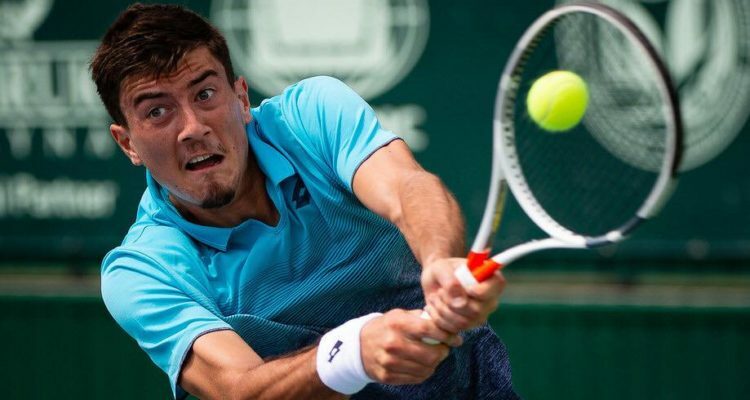 Sebastian Ofner has claimed his maiden title on the ATP Challenger Tour. The 22-year-old Austrian won the President’s Cup, a $125,000 hard-court event held in Astana, Kazakhstan. Ofner defeated unseeded Daniel Brands from Germany in Sunday’s singles final by the score of 7-6(5), 6-3. The No. 3 seed fired 13 aces, winning 72 per cent of his first service points to prevail in one hour and 37 minutes. Ofner only dropped one set en route to the title and earns $18,000 in prize money as well as 100 ATP Ranking points. He is projected to rise to World No. 155 when the new ATP rankings will be released on Monday. Mikhail Elgin of Russia and Yaraslav Shyla from Belarus took the doubles crown. The No. 3 seeds defeated Arjun Kadhe of India and Denis Yevseyev of Kazakhstan 7-5, 7-6(6) in Saturday’s final. The encounter lasted one hour and 37 minutes. This entry was posted in ATP Challenger News, ATP Challenger Tour and tagged Astana, ATP Challenger Tour, President's Cup, Sebastian Ofner.